For many, the new year represents an opportunity for reflection, change, and growth. Many of us will set New Year’s resolutions around health, money, and relationships. 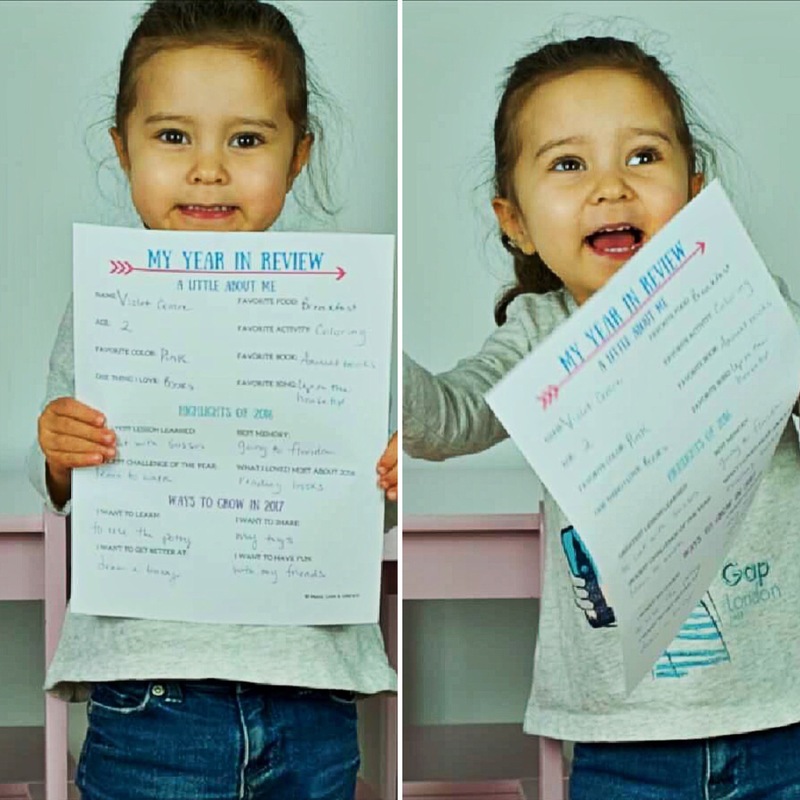 This year, I set out to set family resolutions, and to help my two year old daughter begin to understand the concept of goal setting (and reaching!) as well. This is sort of an abstract concept to her at the moment, so I put together a worksheet that helps her to reflect on the year and think forward to the next. Set out to learn new things: Children are picking up new things left and right — talk out a milestone that is just on the horizon, or a big accomplishment that is likely to follow. Work with a child’s interests: my daughter is *constantly* asking me to draw babies and animals, so a great goal for her is to master some simple drawing skills. Make some of your goals academic: A good family goal to set is to help your little one improve their school-readiness skills: holding a pencil, cutting with scissors, getting the numbers or letters down. Work together on improving eating habits: of course there likely isn’t reason to put a child on a diet, per se, but sharing and talking openly about healthy eating habits is a great practice. Exercise: file this one under a family goal: there are all kinds of fun exercises that families can do together! Stay tuned for next week’s video on yoga, mindfulness, and meditation practice with young children! Give, give, give: put charitable giving on your list: do good *and* teach your child the value of sharing all in one fell swoop. Have fun! : You can also set goals around play: visit a museum once a month, get outside and to the park more, or master building a lego tower! And be sure to celebrate any accomplishment with a party, a special treat, or a hug and high-five! 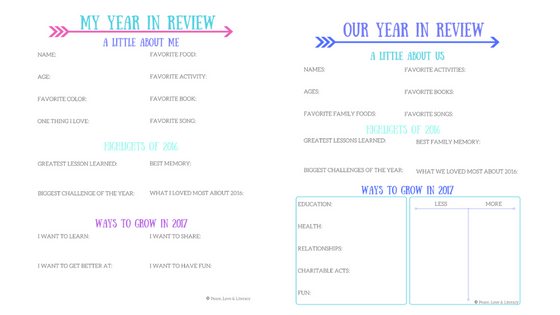 Don’t forget the free download of our New Year’s Resolution Planner for Families with Young Children. Find it here. Previous Our favorite craft supplies for toddlers and preschoolers! Violet is adorable! Happy 2017 to you both! Thank you, Brandi! And a very happy new year to you and your family too! !